It's killing me to miss this one. Drake's Brewing is just down the road a piece, Triple Rock Brewery is only a few blocks East toward the Berkeley hills, and Pyramid Brewing is due north a couple miles. 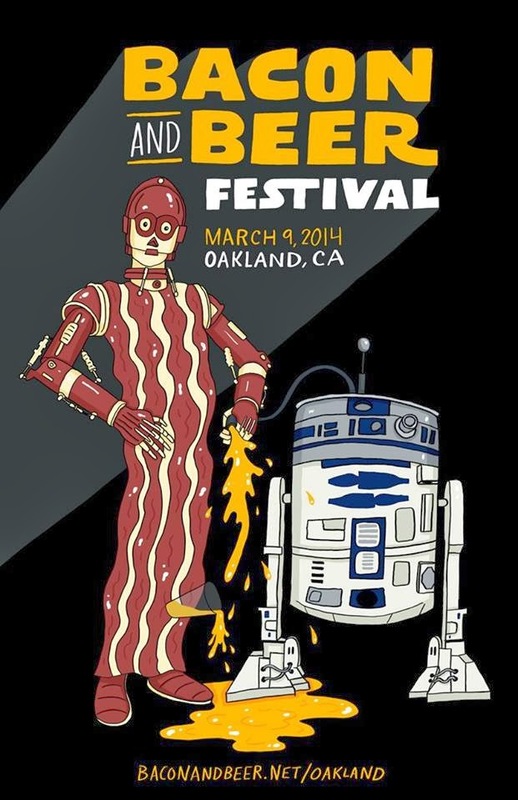 Gonna be some great craft beer and and "only in the Bay Area" type bacon creations, to be sure. In the new Oakland, there is a "there there." Someone gets to go, please check back with me!